I am going to learn! I've seen the parts and have just a few questions. Do you glue the cow elk insert in the barrel? How does the bull elk call go together? I have until October 16th to get this together and surprise my buddies at elk camp. Any help will be greatly appreciated! Re: I am going to learn! Doug, great questions. I have never made one either, so am looking forward to the answers you receive. The cow elk reed kits are a MT 2 taper, just like the crow calls. There are two ways to make them. First, you can use a MT 2 reamer to seat the cow elk reed or you can use the Latta Method to turn it down in a chuck and use O rings to seat the reed kit. The Latta Method is in the tutorial section of the site. It is used for crow calls but works for bite calls too. 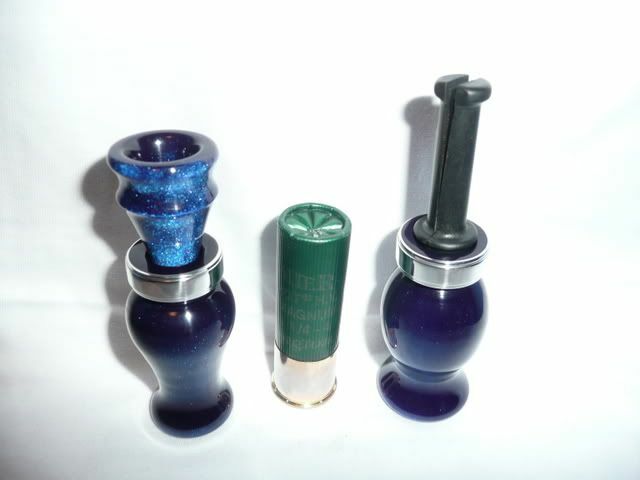 The Elk bugle kits are made exactly like the deer grunt call. There is a tutorial on the deer grunts too. Both calls are easy to make. If you do run into questions, give us a shout and we will do what we can to help. 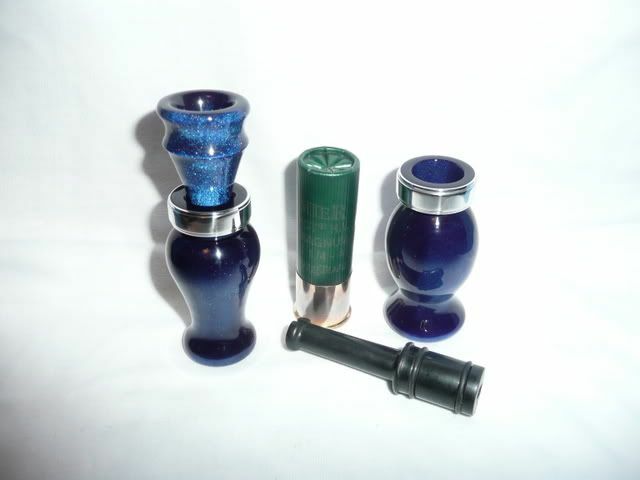 I've got to sell a few calls, save a few sheckles, and get some parts ordered. In the meantime I will be doing my homework on the tutorials. I prefer the Latta method and use the o-rings for the cow elk call. The o-rings make it a really slick fit. Never have to worry about a glue joint failure and I don't have a MT2 reamer as well. Here's a pic of an example of a bite call that I did with o-rings. As is always the case, its good to get several commercial-made cow calls to try out, and fit the sound of your calls to fall somewhere in the middle. Never found a bull call kit that I liked. So how do you "tune" a cow elk call? Is it all in the barrel dimensions? I use the "Latta" method for the cow elk kits. I also use Al's distress boards, they make a great cow elk reed I like them better than the bite style reed. Another option for the elk bugle is to get the bugle reed and instead of making it like a deer grunt, make it an open reed design. it gives much more versatility than the deer grunt style. Using a cow horn instead of wood makes an outstanding call as well. I have made a few elk bugles just like the deer calls wasn't sure I liked them.I do like the Idea of putting that reed in a cow horn. The cow that used to own the horn may not like the idea, but other than that I don't think anyone else would care.